Hello and welcome to #MealPlanningMonday! Last weeks meal plan was a huge success, I made every meal that was planned except for the sausage casserole. However as it was planned for the weekend I am happy as I know that we often change our minds by the end of the week. We had been out and as I had already got the sausages the casserole became a good old grilled breakfast. We had sausages, bacon, eggs, mushrooms and beans and it was so good! When I was doing our shopping last week there were plenty of offers on fresh meat so I have got a freezer full of lovely meats. I did spend more than I had planned but when meat or fish is reduced I do tend to stock up as it will save us money in the long run. Last week I had a really productive week with blog posts. 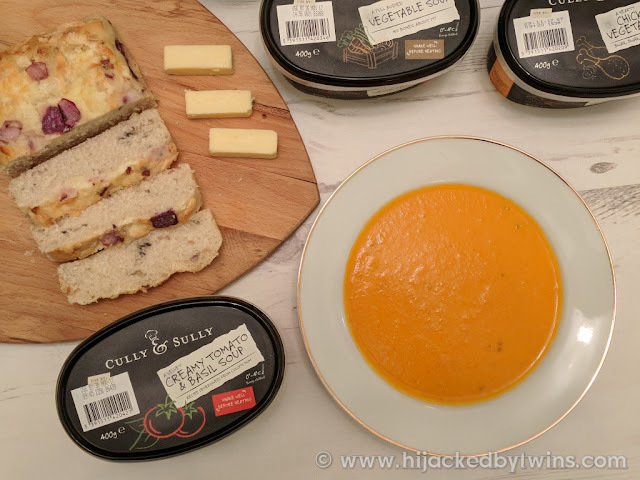 I shared how I like to make my soup extra special with Cully and Sully Soup, I shared a great infographic all about how to select the best olive oil and the CookBlogShare was as busy as ever! This weeks meal plan is going to be full of comforting meals that are perfect for this time of year. Mondays are usually busy so a good, easy meal is needed to start the week. Plus there is always enough leftover for lunch the following day! This week I bought some ready made pastry, as much as I love to make my own now that I am out all day time is so valuable and I will never get round to making a pie again if I do not buy ready made pastry! This week I am going to use the lamb which was half price and make a truly comforting meal of pie, mash and mushy peas! I am hoping that there will be some pie leftover for Wednesday as it is another evening being mum's taxi. I will put some jacket potatoes in the oven and if there is not enough pie left I will get some fish out of the freezer. Thursday is going to be a late meal as the hubby is going to pick his mum up from her holiday so I am going to make a meal that can be kept warm in the oven until they get home. J is at home as his school has got a training day and my mother in law is staying over to keep an eye on him. I am sure that we will go out after work to get something nice and easy. I am not planning for the weekend as at the moment we are not too sure what we are doing. Now over to you, what will you be enjoying this week? 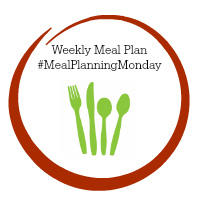 Share your meals with the #MealPlanningMonday blog hop! Thank you for hosting and giving bloggers the opportunity to see each others work. Happy Thanksgiving! Smoke Dust Chilli and Nifty Kitchen Giveaway!